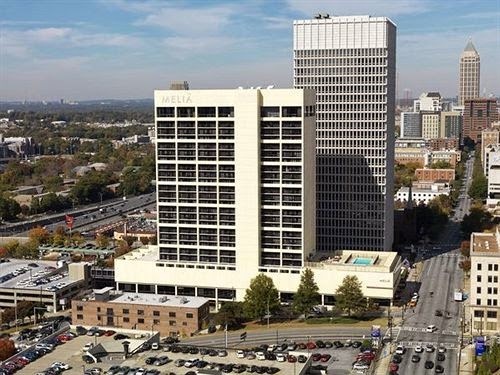 InterContinental Hotels Group (IHG) announced Friday that the 501-room Hotel Melia, in Midtown Atlanta, will convert to a Crowne Plaza hotel and will immediately undergo a total renovation, ultimately creating a 360-room Crowne Plaza hotel. By January of 2016, the property will open within the same building a 102-room Staybridge Suites hotel. "IHG's track record remains strong. We are well-placed to grow market share with a high-quality pipeline and through continued innovative guest offerings including dual-branded properties," said Kirk Kinsell, president, the Americas, IHG. "These hotels are ideal for urban and suburban destinations alike and we are excited that one is opening right here in Atlanta." The dual-branded model allows for operating efficiencies yet doesn't compromise the distinct offerings guests have come to know and expect from each IHG brand. While they typically share the same building structure or services such as fitness centers, pools and food & beverage facilities, some back-of-the-house operations may also be shared or separate. With a broad portfolio of brands that service diverse stay occasions – be it leisure, business, extended-stay or family travel - and spanning a variety of price points, IHG is well-placed to offer guests an exemplary experience. "Dual-branded hotels are attractive for our owners because they are able to achieve construction cost savings, through shared facilities such as meeting space, swimming pools, fitness facilities and back-of-house areas, as well as operational savings, through shared services," said Joel Eisemann, chief development officer, the Americas, IHG. "With a dual-branded property, our owners are able to cater to many different stay occasions in the same location while generating a more profitable bottom line." InterContinental Hotels Group is a global organization with a broad portfolio of nine hotel brands, including InterContinental® Hotels & Resorts, Hotel Indigo®, Crowne Plaza® Hotels & Resorts, Holiday Inn® Hotels & Resorts, Holiday Inn Express®, Staybridge Suites®, Candlewood Suites®, EVEN™ Hotels and HUALUXE® Hotels and Resorts.